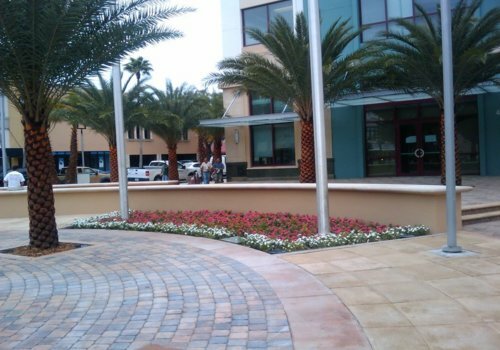 On Thursday March 19th, the beautiful new landscaping outside West Palm Beach's new City Center on Clematis Street opened to the public for the first time. Workers had been busy working on this area for several months, and work was finally completed on Wednesday March 18th, at which point the fence surrounding the area was finally taken down. 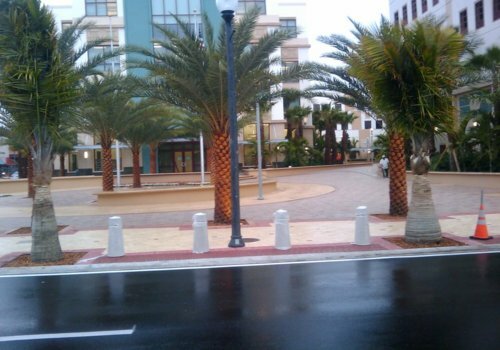 Thus, anyone strolling down Clematis Street can now walk freely throughout this very nice landscaped area and truly see the grand entrance to the new city library and city hall. 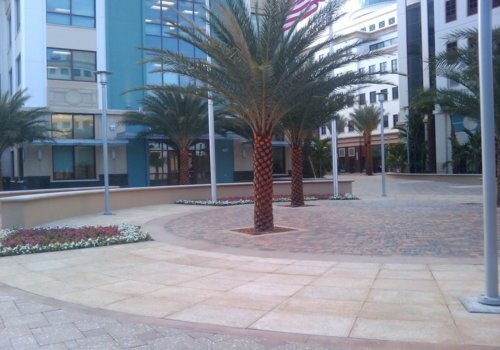 The area features a large open outer courtyard at the northwest corner of Clematis Street and Dixie Highway, followed by an inner courtyard leading to the main City Hall entrance. Below are a series of pictures, taken on March 19th, 2009, which show what the area looks like. 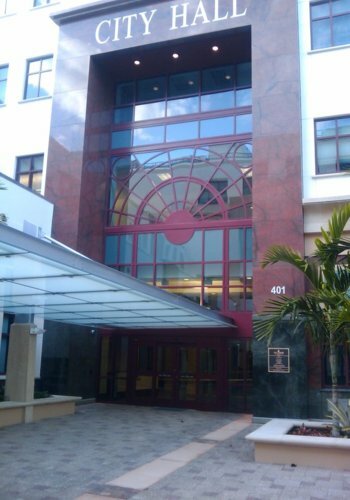 The first four pictures show the outer courtyard, and the last picture is the main entrance to the new City Hall, within the inner courtyard. 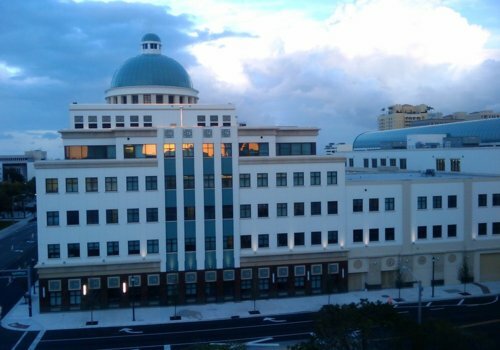 The City Hall offices will be moving from their existing location a few blocks away to the new City Center over the next few days. 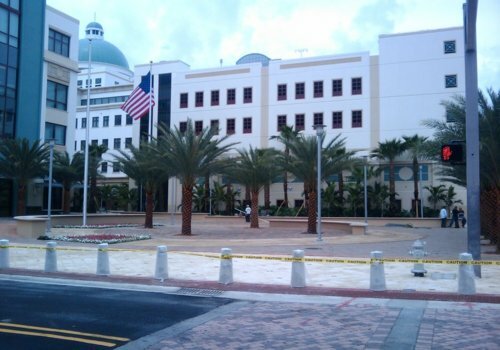 Now that the sidewalk around the City Center is open, I was able to walk right up to the side of the library and take the below picture looking inside. 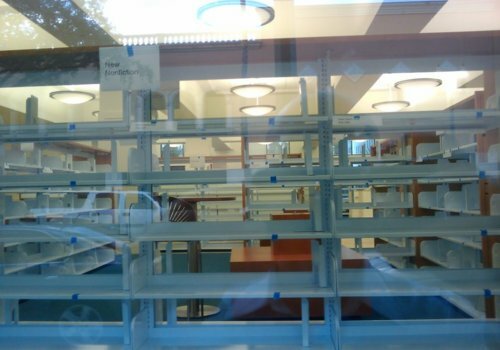 It looks like the shelves are already there and it's going to be a really great library! No books yet, but those should be coming in over the next three weeks. 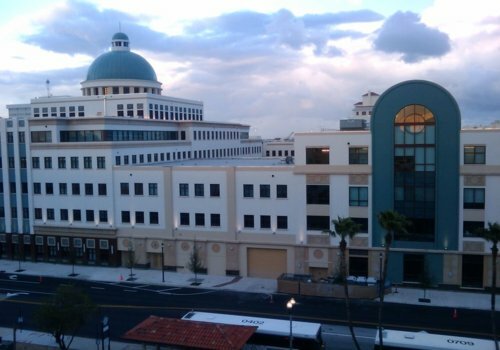 Finally, here are some more pictures of the City Center overall, taken from the top of the new parking garage on the 500 block of Clematis Street.